Looking for serious individuals that want to network and be developed by Greater New Orleans top leaders and business owners. Applications accepted until January 31st! 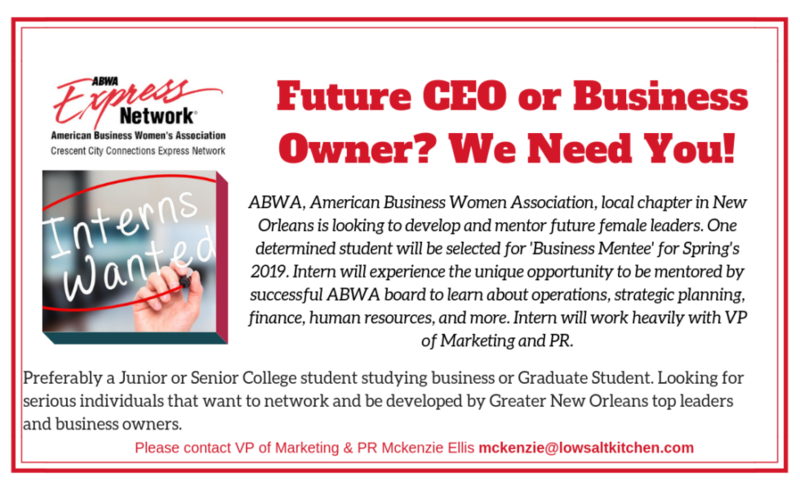 Please contact Mckenzie Ellis VP, Marketing & PR mckenzie@lowsaltkitchen.com if you or someone you know might be interested! Click here to sign up for Invitations and Newsletters.